ABJASIA (GEORGIA) Voronya-Krúbera Cave (Caucasus-Black Sea) It is the deepest cave-sum in the world, with -2,149 m accredited, although it could reach even -2,700. Still in exploration. SPAIN Cave of El Soplao (Cantabria) Entramed of caves with an extraordinary variety and quality of geological formations or speleotemas, like the rare helicitas (eccentric stalactites) or the draperies (“sheets”). 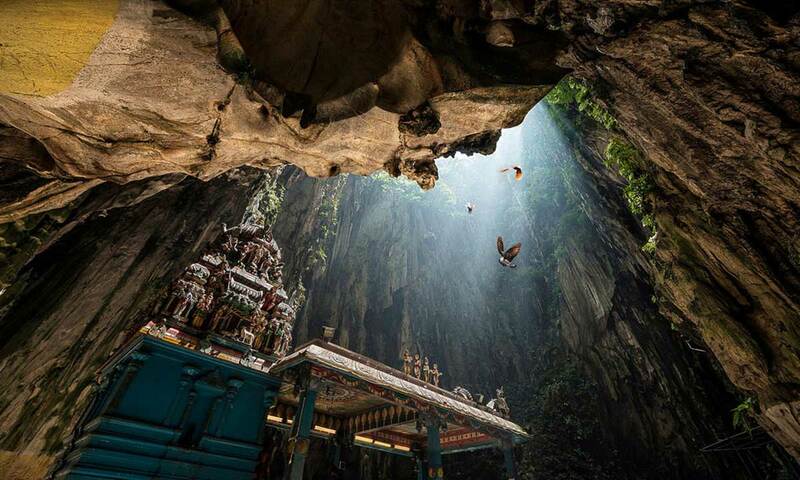 MALAYSIA Caves of Batu Cuevas-Hindu sanctuary, in the middle of the Malayan jungle. 272 steps give access to the main space, more than 100 m high, which houses a temple dedicated to the god Murugan. MEXICO Crystals Cave A -300 m, with crystals of selenite (gypsum) up to 12 m long, 4 m in diameter and 55 tn in weight. Mine in operation in extreme conditions (60 ° C, humidity above 90%). N. ZELANDA Cave of the Fireflies As taken out of the movie Avatar. A fantastic and capricious world populated by millions of fireflies in a labyrinth of caves, bays and rivers under green hills. RUSSIA Muntovsky Cave (Kamchatka) Hypnotic and luminous ice cave formed by thermal springs that flow under the glacier of the homonymous volcano. VIETNAM Cave Son Doong The largest cave in the world, with spaces up to 200 m in height and 150 m in width. With its own climate, underground river, steep cliffs and lush jungle vegetation.